We offer a wide variety of classes at Myrmidon for people of all walks of life. Whether you are a seasoned veteran or just wanted to take steps to get back in shape, we can help you obtain your goals. Please browse our classes and let us know what you think. Myrmidon boxing and kickboxing classes are led by trainers who will show you how to work the bag, and master moves that will transform your body. In between rounds, you’ll tackle toning exercises that keep your mind focused and your muscles challenged. Every Myrmidon boxing class is designed to be an enriching experience from start to finish. Youth Classes are designed for students between the ages of 5-12. Our Myrmidon MMA is also great for adults looking to get in shape, learn martial arts or step into the ring. This is a great stress reliever and workout. If you are looking to train as a fighter, to get in shape or to learn practical self defense, Myrmidon MMA program can help you achieve your goals. The Adult Class is geared to wrestlers ages 13 and up. Myrmidon Wrestling Club was established in 2010 as a means to create a positive wrestling culture in the West Michigan area. Our wrestlers have serious aspirations; whether they be a state title or a national title. The coaches at Myrmidon not only want to foster the ideas of pushing the athlete to better themselves, but also to turn dreams into realized goals and eventual accomplishments. Wrestlers that compete at the high school level and college level sometimes find themselves without the proper guidance and individual attention they require. Look no further. At Myrmidon wrestling is set up to cater to wrestlers that need some one on one instruction to get ready for their push for state and nationals. Please EMAIL us at myrmidonwrestling@gmail.com for the season time schedule for wrestling. Youth Classes are designed for wrestlers between the ages of 5-12. Launched in 2013, the Myrmidon Youth Developmental Program was created with one purpose in mind: the molding and shaping the next generation of All State and All American wrestlers. Our system of coaching implements all the basic and fundamentals needed for beginning wrestlers to succeed. Agility and flexibility are stressed, as well as the rudimentary wrestling techniques aimed at the creation of high percentage winning wrestlers. 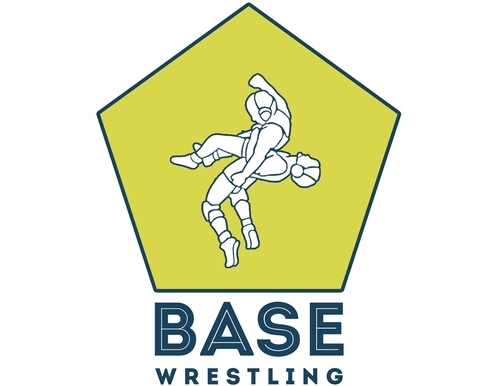 Myrmidon utilizes the BASE Wrestling training system for all of our youth wrestlers. It is a revolutionary program designed by Olympic wrestlers Andy Hrovat and Jake Herbert. For more information, click here.